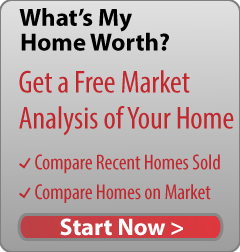 Are you selling Your Charleston Home or Condo? In today's modern real estate market, you need a listing agent that embraces technology and marketing and has the expert knowledge needed to showcase your home to potential homebuyers. According to statistics provided by the National Association of Realtors, 90 percent of homebuyers start their home search online. I specialize in new media marketing and can use my vast experience to customize a marketing plan and online strategy that is specific to your home and target market. Correctly pricing your home is perhaps the most essential element of the home selling process. I have extensive knowledge and experience of using the comparative market analysis tool (CMA) to appraise your home and set an appropriate price that will attract the right buyers. I will use the CMA tool to assess market and demographic data and create a comprehensive report that compares your home with similar properties that have recently sold in the area. I will also take into account the price of any homes in the neighborhood that may be viewed as competition. Through examining this in-depth data, we can work together to formulate a price that is competitive while maximizing the value of your asset. Once your home's pricing strategy is in place, we will complete the listing agreement paperwork. This written contract includes terms and conditions that are specific to the sale of your home and include factors such as list price, length of contract, broker compensation, MLS rules and regulations, and agency relationships. Before placing your home on the market, I will help you stage your home to sell. This process involves evaluating your property from the perspective of potential homebuyers. Through the implementation of proven methods, I will help you to ensure that your home stands out from the competition and appeals to the largest number of prospective homebuyers. At this stage it is important for you to accept that you are now living in a "house" that I need to sell in order for you to reach your next destination. After staging your home for sale, I will visit the property and take a series of high-end professional photos that are designed to showcase your home's unique selling points. These photographs will be used within all promotional material and advertisements and will highlight your home's best selling features to all prospective buyers. I am now ready to market your home everywhere. Once we have an offer, we will review the contract's terms and conditions. The prospective buyer's offer will include information such as the purchase price, earnest money deposit, closing date, financing method, down payment, home inspection, and closing costs. At this point there is a high probability that you will enter into a series of negotiations to reach acceptable terms. This element of the process can often be emotional and stressful. However, I will guide you every step of the way and do my utmost to ensure that you achieve the sale on terms that meet your needs. All you need to do in return is ensure that you are readily available to respond to any counter offers in a timely manner. Together we will sell your home and reach an agreement with which you are happy. The closing will take place at the closing attorney's office. This is a formal process where all the interested parties will complete the transaction by signing the required paperwork. Once this has been completed, you have sold your home. When you are ready to sell your home, I will be happy to meet with you and discuss my home selling strategies.